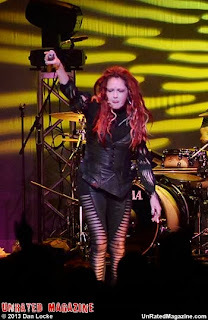 The tour was announced via Lauper's website on April 8, 2013. Dubbed as a celebration for fans, the shows will pay tribute to the singer's debut album, released October 14, 1983. This tour gives Cyndi a way thank her fans for supporting her long time career. By revealed facts about the song and the making of the song that song. During her show she performed every track from the album (not CD, DVD or MP3) and plus some other. Here is the setlist from the show.